IJsseldelta Stadion is a multi-purpose sports stadium located in the capital city of the Overijssel, Zwolle. 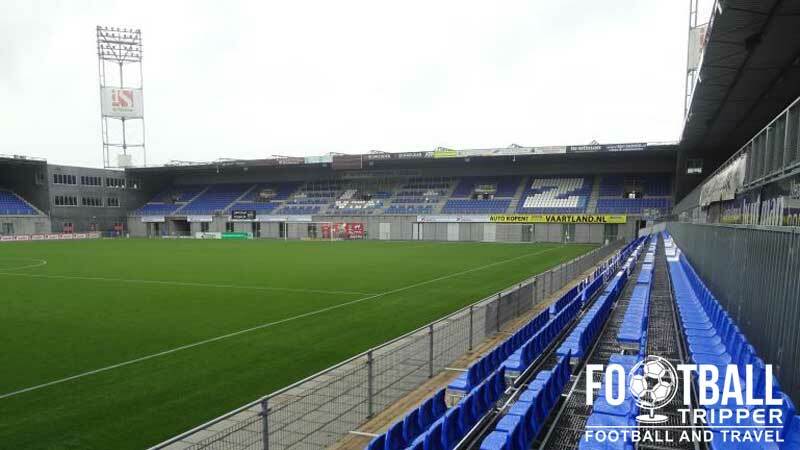 First opened in 2009, the 12,500 ground is home to local football team PEC Zwolle who are the most successful in their region, having gained promotion back to the Eredivisie in the 2012 – 2013 season after a near 7 year wait. Before moving to IJsseldelta Stadion PEC Zwolle played their home fixtures at the Oosterenkstadion which was constructed back in 1934 with the club occupying it for two spells between 1934 – 1957 and 1970 until 2007. The stadium was demolished t make way for the new facilities with construction officially beginning on the 9th March 2007. Opening two years later, the inaugural league match was held against FC Eindhoven on the 29th August 2009 which resulted in an entertaining 3-3 draw. The first goal came a few weeks before in a pre-season friendly against SC Cambuur with the club recording a notable increase in the average attendances with over 5,000 tickets sold per game. IJsseldelta Stadion was initially built with a capacity of 10,500 but after the club were promoted to the Eredivisie in 2012 the club drew up plans to expand to a respectable 14,500 capacity over three stages of development. Matching the club’s ambition as a top-flight side, the first phase added 1,000 additional seats in the Fred Patrick East Stand. 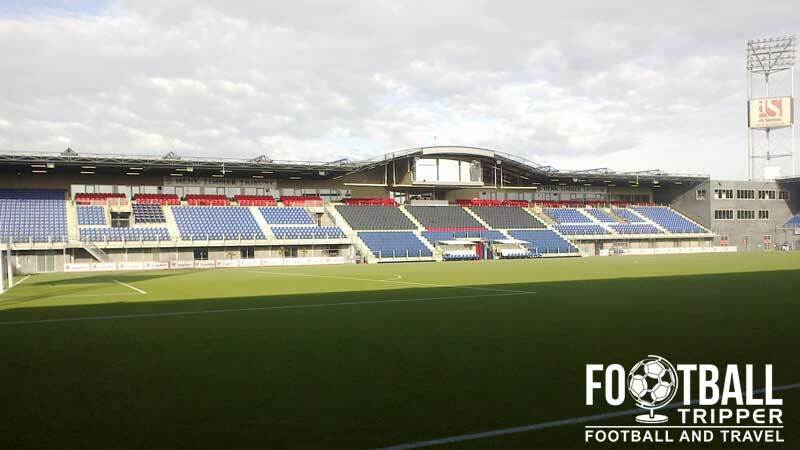 Constructed by Zwolle VOF in a public/private partnership which saw the City of Zwolle contribute over 10 million euros to the project, the stadium is located within a wider sports complex which contains several other pitches as well as a hotel and retail facilities. To date the stadium is yet to host International matches of the men’s team but IJsseldelta has hosted a handful of women’s games such as a 2010 game against Norway. Ijsseldelta Stadium is comprised of four stands: North, East, South and West. 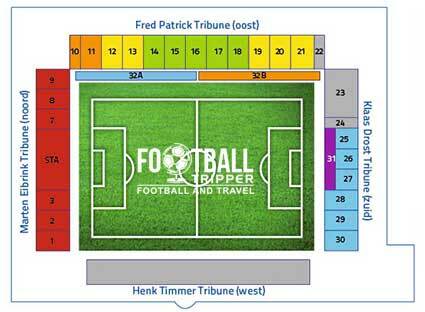 Away fans are housed within the south-east corner of the stadium across sections 23-24 in the Zuid (south) stand, and section 22 in the Oost (stand) as per the seating plan above. At the stadium there is the Bluefinger restaurant which sells pub style food seven days a week as well as on the day of the match. With the exception of the online PEC Zwolle Fanshop, the club shop at IJsseldelta is undoubtedly the best place to purchase official merchandise of the bluefingers. Monday to Friday: 8:30 am – 12:30 pm and 1:00 pm. to 5:30 pm. PEC Zwolle traditionally play in blue and white when at home hence the nickname of Blauwvingers (Bluefingers). The away kits are almost always green. 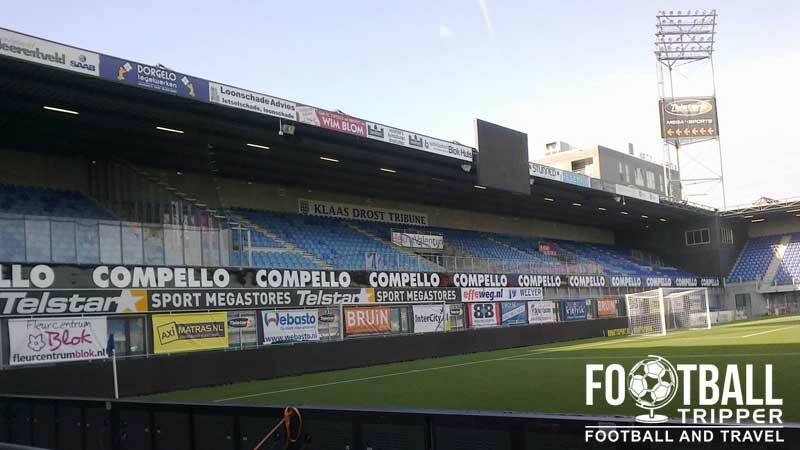 Ninety minute minute guided tours of IJsseldelta stadium are available from the start of the 2015 season for the bargain price of just €5.00 per person for a party of 10. For more information and to arrange a tour please visit this page on the official website. Tickets to see PEC Zwolle in action at home can either be purchased online or in person from the fan shop during the regular opening hours as outlined above in the “club shop” section. 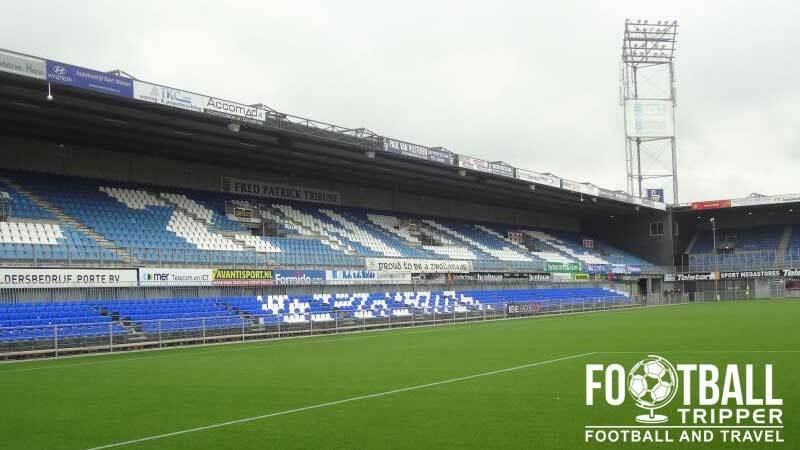 For higher profile matches expect to add an additional €5.00 euros to the aforementioned ticket prices as PEC Zwolle essentially operate a two-tiered pricing system depending on the profile of the opposition. IJsseldelta Stadion sits 3.7 km east of Zwolles historic city centre resulting a journey by foot of around 45 minutes for the average Football Tripper. The boxy exterior of the IJsseldelta Stadion, you can just about make out the hotel towards the right hand side. The car parks at IJsseldelta stadium are reserved for those in possession of parking permits which means if you are visiting for a one-off match you should stick to the area between Boerendanserdijk and Oude Meppelerweg which has standard parking regulations. Along Boerendanserdijk across the canal north of the stadium there is the Zwolle Stadion bus stop. This is served by buses 3, 8 and 70 which can be caught from various places around the city. Zwolle Railway station is a major transport hub for northern Netherlands and is subsequently served by no less than 8 different train services across all points of the compass. A view of the refurbished main platform at Zwolle railway station. There are frequent services to Groningen, Amsterdam, The Hague and Rotterdam amongst other cities. The two nearest International Airports to the city of Zwolle are in Groningen (97 km), and Amsterdam (121 km). Within the stadium itself there is the four star Hotel Lumen which has rooms which overlook the pitch. Surprisingly well priced in comparison to the other options within the city centre such as Hanze Hoel, Hotel Campanile and Best Western, the only drawback is its distance from the night-life.